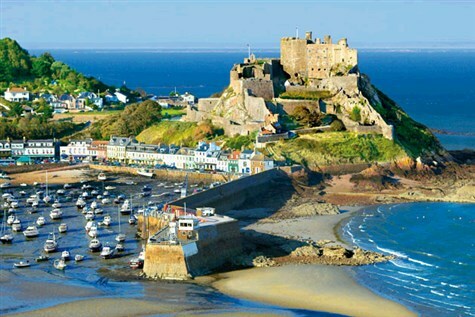 Located about 100 miles south of mainland Britain and only 14 miles from the coast of France, when visiting this enchanting island the influences of both countries are obvious, which, combined with the moderate climate, rugged cliffs, clear blue skies and delightful towns provides for an interesting and relaxing break. Located a few minutes walk from the shops of St Helier and 5 to 10 minutes walk from the beach. All rooms are en-suite with TV, tea/coffee making facilities, telephone and hairdryers. There is a cocktail bar with entertainment, lounge, coffee shop, indoor swimming pool, jacuzzi, steam room and games room. Please enquire about tour timings with our office at time of booking.